Lady Gaga's fashion choices are... interesting, to say the least. I mean, she wore a dress made of raw meat to the 2010 MTV Video Music Awards, and don't even get me started on that giant egg from the Red Carpet for her arrival to the 2011 Grammys. Gaga's sense of aesthetics have been the inspiration for many costumes throughout the years, and her most recent video for "Applause" gives us another trendy costume for this year's Halloween. 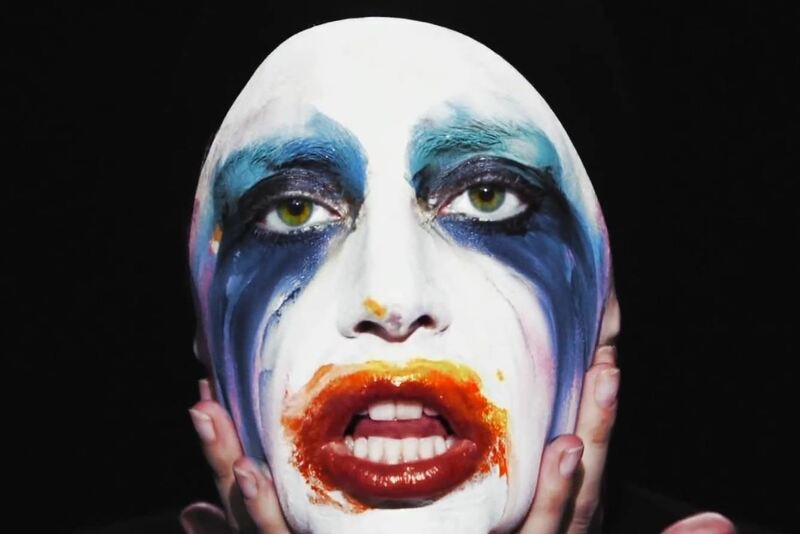 This chart-topping song and video provide us with more than one costume possibility, but the easiest one to do is the creepy clownish painted face that Gaga dons during the video. The best thing about this costume is that it's all about face paint. Your makeup is your costume. You'll need a lot of white, some red, orange, blue, turquoise, and black. Check out the super easy tutorial below from PopSugar. All you need to complete the costume is an all-black outfit and headscarf. If you want to do a different Lady Gaga look this Halloween, check out out other Halloween costume and makeup guides for her meat dress, "Paparazzi" look, anime eyes, "Dance in the Dark" look, and many, many more.